Circulation: Arrhythmia and Electrophysiology publishes high-quality, clinically relevant articles focusing on advances in the understanding of the pathophysiology, diagnosis, and treatment of cardiac arrhythmias. 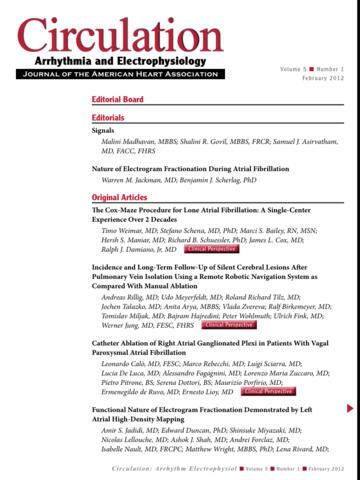 The journal reflects the rapid evolution of cardiac electrophysiology as a discipline in its own right, and presents critical new research on topics related to clinical applications such as devices for arrhythmia management, catheter ablation, the pathophysiology of the arrhythmia substrate, and novel biologic therapies. 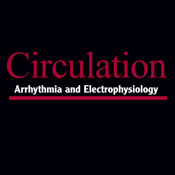 Each bimonthly issue of Circulation: Arrhythmia and Electrophysiology is available in print and online at http://circep.ahajournals.org.